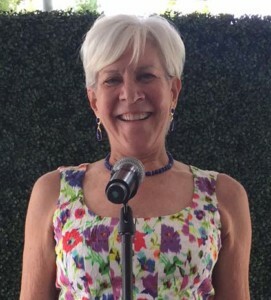 RANCHO SANTA FE — When Deborah Cross joined The Country Friends Board in 2007, she knew serving as board president one day would be an honor, but she never imagined serving two terms. It’s been a memorable journey, she said. A few years after Cross became a board member, the Rancho Santa Fe-based nonprofit decided to extend the president term from one year to two. The board believed two years would be a better continuity for the entire organization. Cross accepted her board president seat for 2015-2016 term, and then again in 2017 and 2018. So why did Cross decide to take on a second term? “They asked me to,” she said, smiling. Cross considers herself a very organized person, so she made a lot of changes in terms of reporting and communicating with the board. Established in 1954, The Country Friends raises money to assist nonprofits based in San Diego to help children, women, the elderly and those with special needs. Cross, whose educational background is in audiology, operated her own business in San Diego named Hearing Dynamics which was sold after more than a decade. Being board president came very naturally to Cross and she was delighted that her husband, Les, was supportive in her role. Cross admits that her favorite aspect of being board president is getting to know the members and the commitment that takes place with their volunteers in the consignment shop. The cornerstone of The Country Friends is based on volunteers and the organization only has two-part time employees. Various events such as fashion shows to luncheons and workshops are attracting new memberships of all ages, including a younger demographic. Cross believes that it is the camaraderie that attracts women to The Country Friends.